Every year, some car models pass from our midst, often dying quietly and unnoticed. Here's our list of the green cars that are no longer with us. There were, of course, more cars than just this handful of the greenest models that died in 2012; here's a more complete list. While the Chevy Aveo nameplate actually left the building after the 2011 model year, Chevrolet will continue to sell subcompacts. But GM's mass brand had to acknowledge that the U.S. image of the Aveo was so underwhelming--most reviewers called it a substandard, cheap, unimpressive car that was long in the tooth from the start--that it was better to wipe the slate clean. 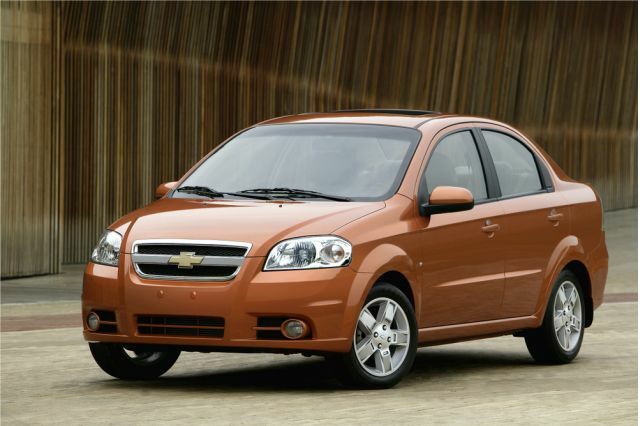 The fresh new model that replaces the Aveo, the 2012 Chevrolet Sonic, is a remarkably good little car. It's got spunky styling, it's fun to drive if you get the 1.4-liter turbo, and it comes with some neat interior features and a minimalist style that doesn't feel punitive. And the turbocharged 1.4-liter engine offered in the 2012 Sonic is far more up-to-date than the larger, less-efficient lump in the Aveo. But for the record, what we buy as the Chevy Sonic is known to the rest of the world as the ... Chevy Aveo. We've lamented the death of the original hybrid crossover before. Among others, we have a close relative who is very cross with Ford for dropping its only all-wheel drive hybrid. The new 2013 Escape offers three different engine options, two of them direct-injected and turbocharged EcoBoost units (of 1.6 and 2.0 liters) that will deliver far better fuel economy than the boxy old 2012 model--which dates all the way back to the 2001 model year. 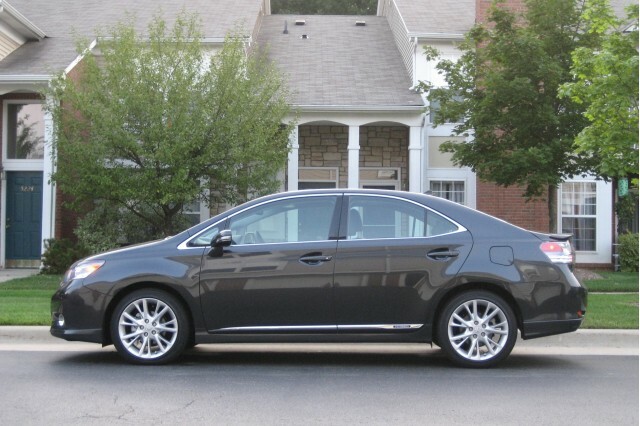 The Hybrid, introduced as a 2005 model, was the first U.S.-built hybrid and the first hybrid crossover. And it found a ready market in everything from green-leaning suburban enclaves to the taxi fleets of New York City and other major urban areas. 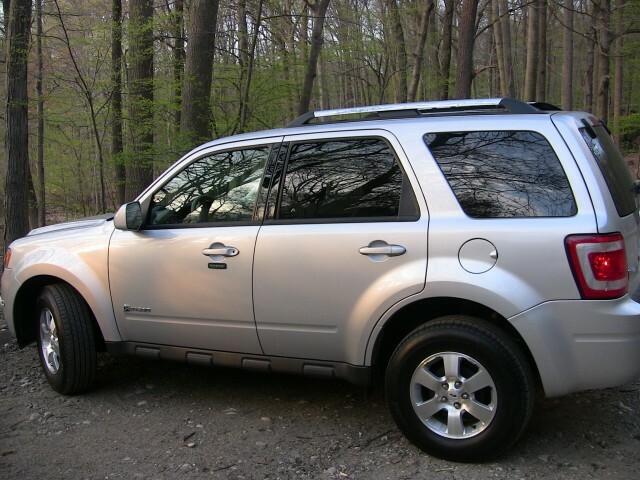 Ford built 122,850 of them, along with another 12,300 Mercury Mariner Hybrids before that brand was killed in 2009. If you want a hybrid with mechanical all-wheel drive that's smaller than a full-size SUV, look for any last remaining Escape Hybrids on your Ford dealer's lot. There won't be any more from Ford. We didn't like it much when it was introduced for 2010, and car buyers seemed to agree. The first dedicated hybrid from Toyota's luxury brand, the HS 250h was unveiled at the 2009 Detroit Auto Show and sold for just three model years. 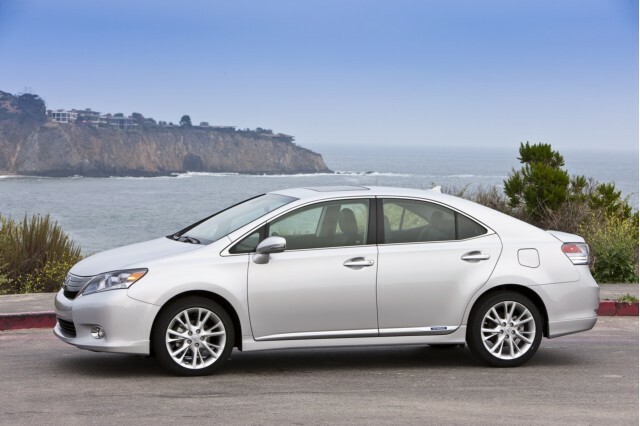 While Lexus hoped to sell 25,000 or 30,000 HS hybrids a year, it didn't come close. It sold 6,699 during 2009, hit a high of just 10,663 in 2010, and saw sales plummet to 2,864 last year. It was far more popular in Japan, where it was sold as the Toyota Sai and logged enough advance orders that U.S. allocation for the Lexus version was reduced. 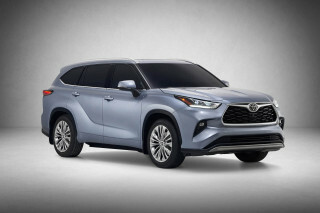 The Lexus HS 250h thus joins a growing list of defunct hybrids that now includes the Honda Accord Hybrid, the Dodge Durango and Chrysler Aspen Hybrid SUVs, the Nissan Altima Hybrid, and most recently, the Mercedes-Benz ML 450h and BMW ActiveHybrid X6. A very large station wagon built on the underpinnings of the vastly more popular ML Series of crossovers, the Mercedes-Benz R Class never found its audience in the States. 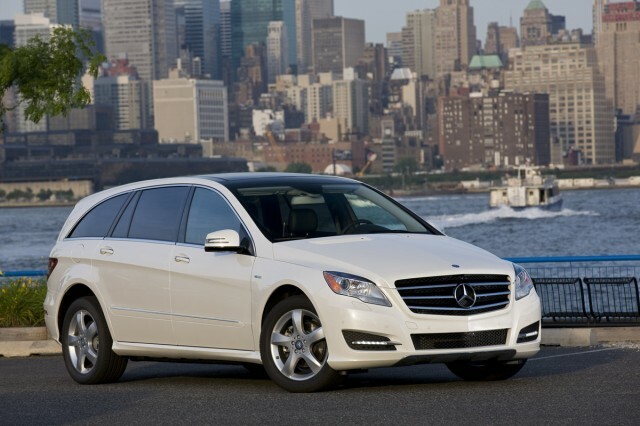 Built from 2006 through 2012, the last few years of R Class production for the U.S. market were fitted with the V-6 BlueTEC diesel engine, a popular option among the car services and high-end fleet buyers who purchased the few hundred vehicles sold each month. Export models of the Mercedes-Benz R Class will stay in production in Alabama for a few more years, but 2012 was its last year on the U.S. market. It only goes to show that anything that smacks of a station wagon is a doomed proposition in the U.S. market. The R Class could be ordered with all-wheel drive just like a crossover, but because it wasn't jacked up to the ride height of a truck, buyers just weren't interested. Finally, there's the Tesla Roadster, only 2,600 of which were built. A crude, clumsy, and expensive two-seat sports car, the Roadster by itself kickstarted the modern-day electric-car revolution. No less a personage that GM's Bob Lutz cited the Roadster in getting the Chevy Volt approved. 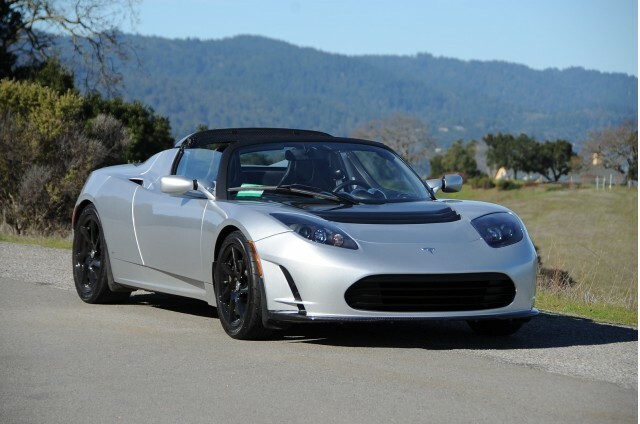 With its 53-kilowatt-hour battery pack made up of 6,831 lithium-ion "18650 commodity cells" like those used in laptops mobile phones, the Roadster was the first demonstration of the technology that launched Tesla Motors--a venture-funded startup car company in Silicon Valley--and blazed the trail for mass-market cars to come. Tesla says it's within weeks of delivering its first Model S all-electric luxury sport sedans to paying customers, but we should pause to honor the Roadster's seminal role. The grumpy middle-aged men of the auto press who uniformly sneered at electric cars often underwent miraculous conversions after wheel time in the Tesla Roadster. One experience of its grab-you-and-throw-you-silently-at-the-horizon electric acceleration, and many looked at the world a whole new way. And no one who's driven one is likely to forget that first ride.